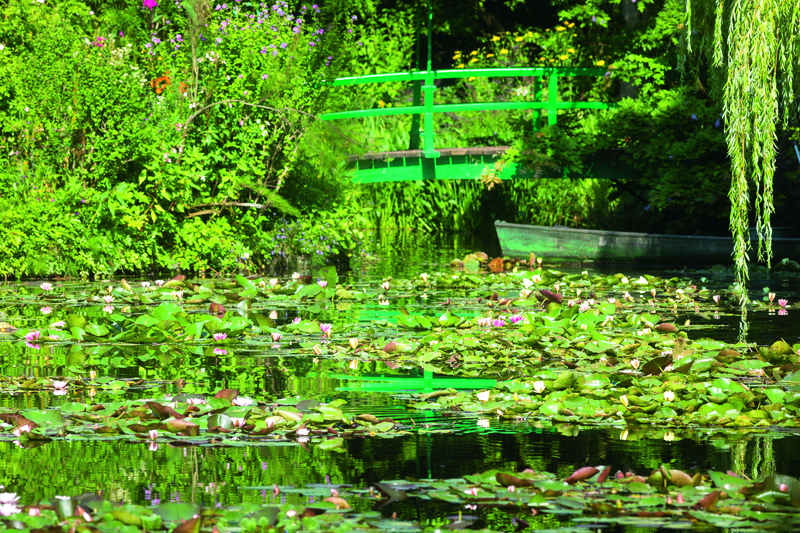 The house and garden of Claude Monet in Giverny is Normandy’s second most popular tourist destination. Annually, approximately 400,000 visitors come to revel in its exquisite beauty. 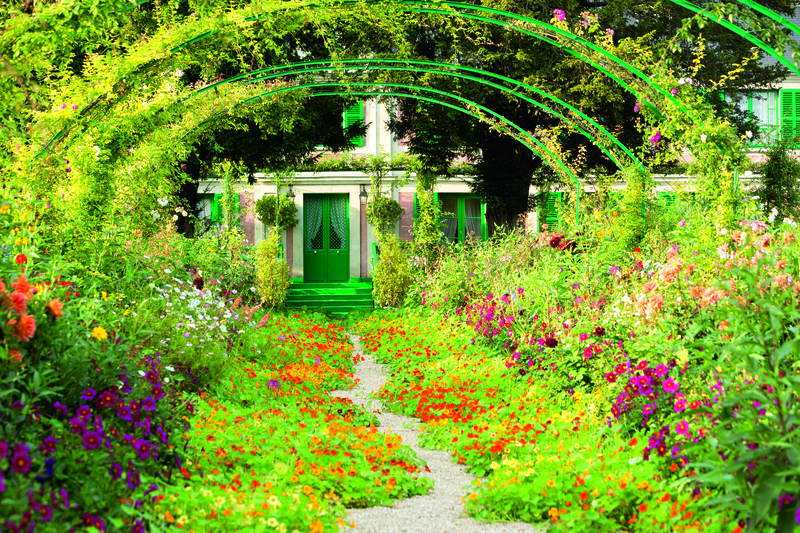 If you had the fortune of walking through Claude Monet’s garden today, you would probably be overcome by its phenomenal magnificence. No matter the time of year, these lush grounds are an awe-inspiring paradise where a wealth of flowers and plants grow and blossom in an explosion of scent and color. But perhaps the most beautiful of all are the abundant seasons that lie ahead. In the spring, thousands of bulbs are ready to bloom in the beds and famous thirty-eight ‘paint-boxes’, among them hyacinths, narcissi and approximately 25,000 tulips. Then comes the summer with irises, poppies, dahlias, roses, hollyhocks and peonies, just to name a few. And by June, the iconic Japanese bridge in the famous water garden is nearly covered under the cascading splendor of sweet-smelling, mauve wisteria. 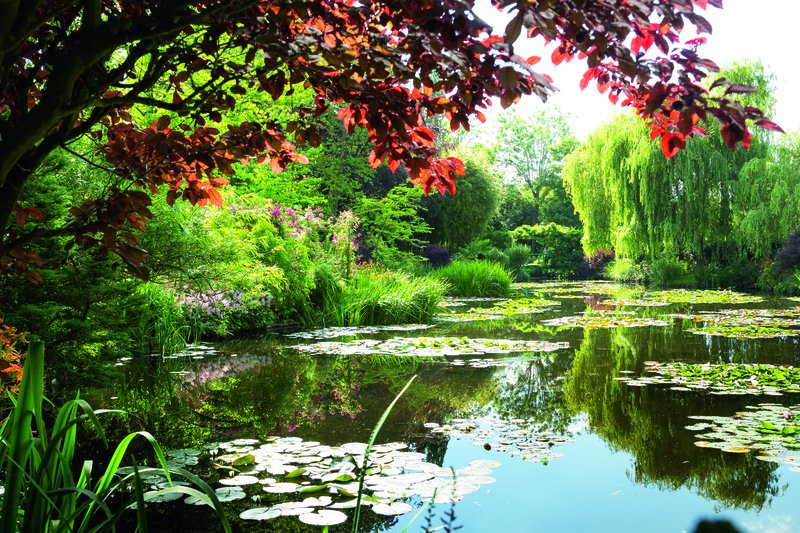 It isn’t any wonder that Monet drew so much inspiration from these gardens. and that today, so many tourists from every corner of the world flock here once April rolls around and it opens to the public once again. Equally breathtaking, even from the outside, is the painter’s house with its pretty pink facade and contrasting bright green shutters. From a distance, it beckons like something out of a fairy tale, but once inside visitors will find it difficult not to gasp in amazement at the beauty that unfolds in every corner. 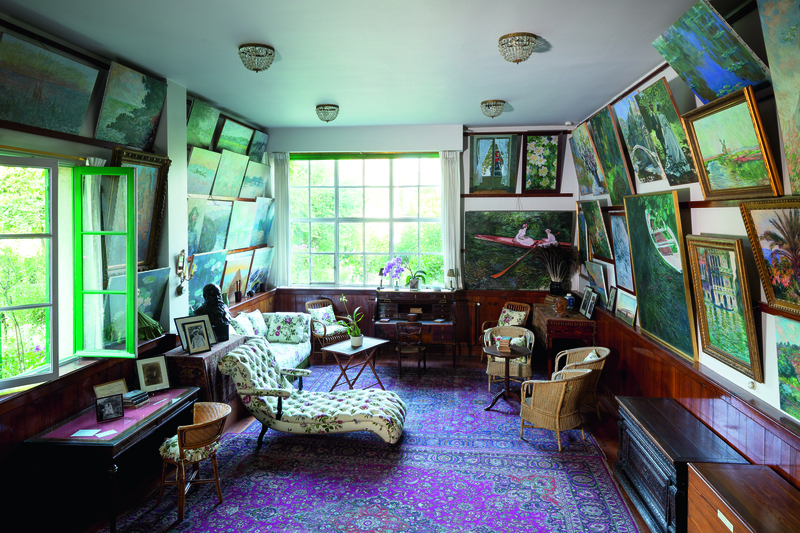 Especially charming is the studio/living room on the ground floor, where Monet worked until 1899 before setting up his workshop in a different building. From that point on, it became an inviting living room with its wicker chairs, comfortable sofas and walls decorated with attractive photographs and paintings. But perhaps the most stunning of all is the kitchen and dining room. 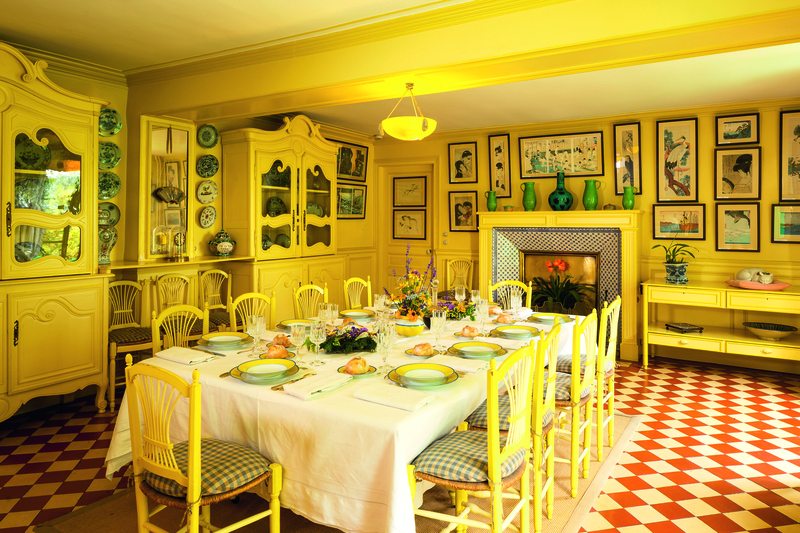 Monet was a lover of good food, wine and entertaining, and these two rooms were truly the heart of his home. 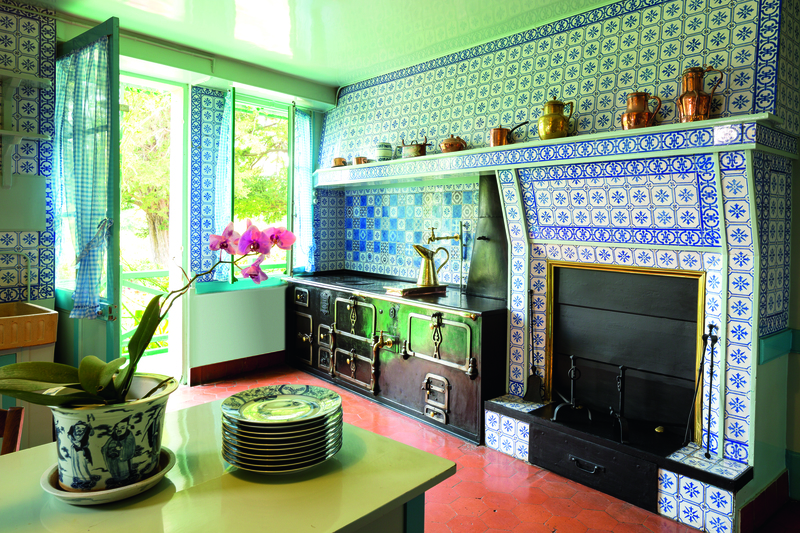 The kitchen, with its bold, blue Rouen tiles boasted the latest equipment and housed a huge range with multiple ovens as well as an exceptional variety of casserole dishes and copper pans, all at the disposal of Marguerite, Monet’s cook. 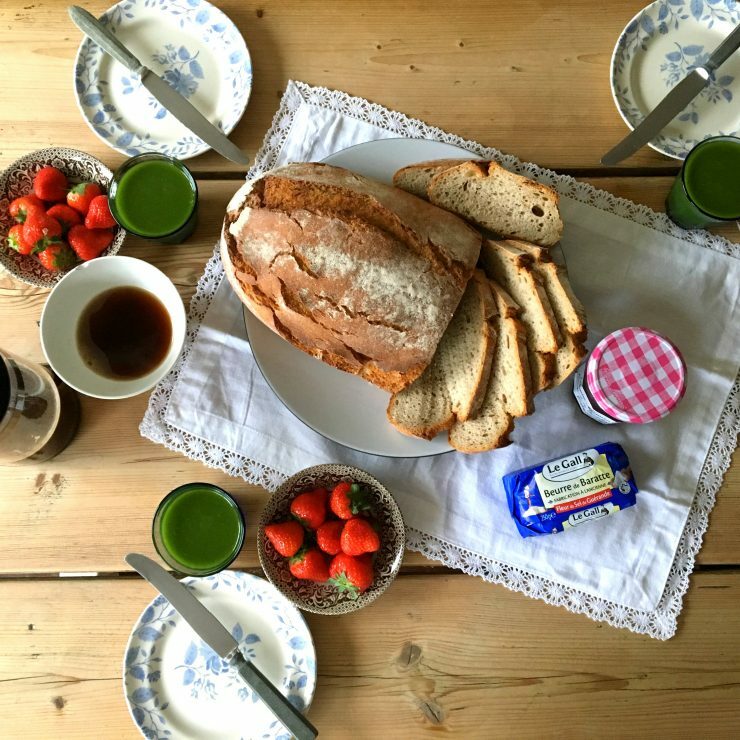 It was in this very kitchen that Monet enjoyed a hearty breakfast every morning before heading out to paint in the countryside or aboard his boat-studio. In the dining room (where everything, including the walls, ceiling and furniture, was painted in two shades of chrome yellow) one can admire a huge selection of the Japanese prints which the artists was so fond of. Often, Monet invited friends to come and gather round his table for lunch, which always started promptly at 11:30 a.m. Among those friends were Gustave Geffroy, Georges Clemenceau, Camille Pissarro, Auguste Rodin, and Auguste Renoir. Monet purchased his home in Giverny (located between Normandy and the Ile-de-France and approximately three kilometers from the town of Vernon) in 1883. He lived there with the six children of his wife Alice Hoschedé, and his own two sons, Jean and Michel. Monet remained there until his death on December 5th 1926. 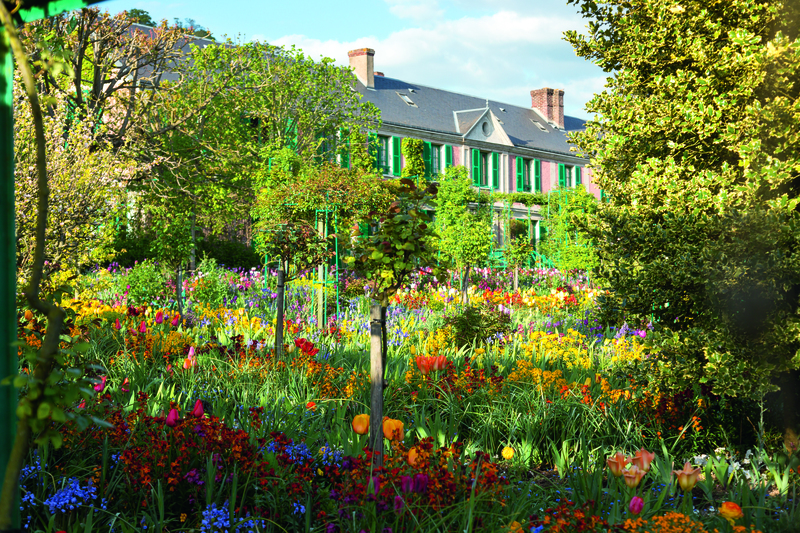 After Monet’s oldest son Jean died in 1914, the property fell in the hands of his youngest son Michel, who opted instead to have his own home built approximately thirty kilometers from Giverny. Blanche Hoschedé Monet, Alice’s daughter, maintained the house until her death in 1947. Thereafter, the house and gardens slowly started to deteriorate. When Michel Monet died in 1966, he left the property and what remained of his father’s Giverny collection to the Académie des Beaux Arts. It wasn’t until 1977 that large-scale restorations would commence under Gérald Van der Kemp, who was also responsible for the restoration of Versailles. According to Van der Kemp: “The buildings … were dilapidated and falling down, most of the woodwork and the parquet was rotten, the furniture was broken and covered with mould, plants were growing up through the floorboards of the main studio.” The gardens were overgrown with weeds, trees were dead and the beautiful Japanese bridge was rotting away. On June 1st 1980, after three years of hard work, the house and gardens opened to the public once again. 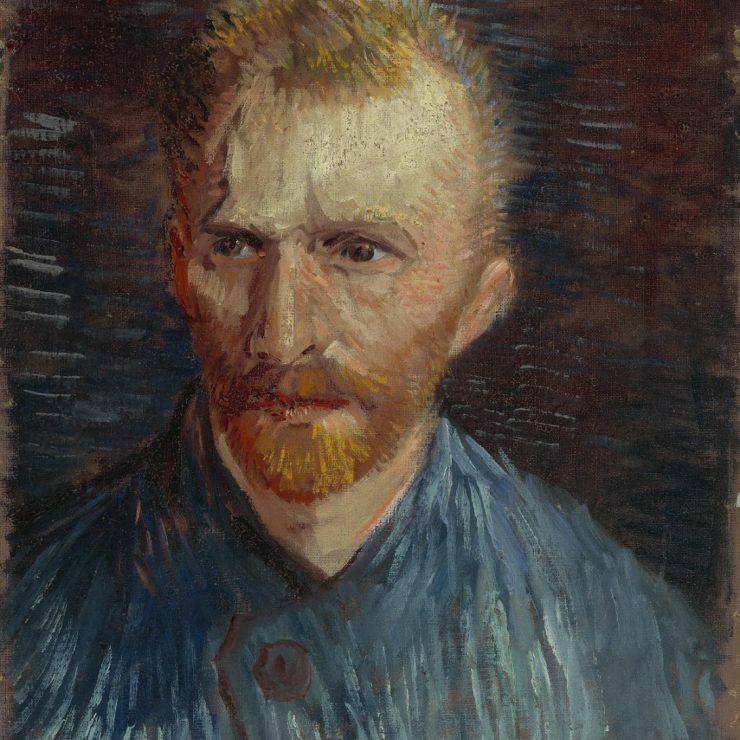 And it seems as though nothing ever changed… as though perhaps the artist could return to his beloved home any minute. 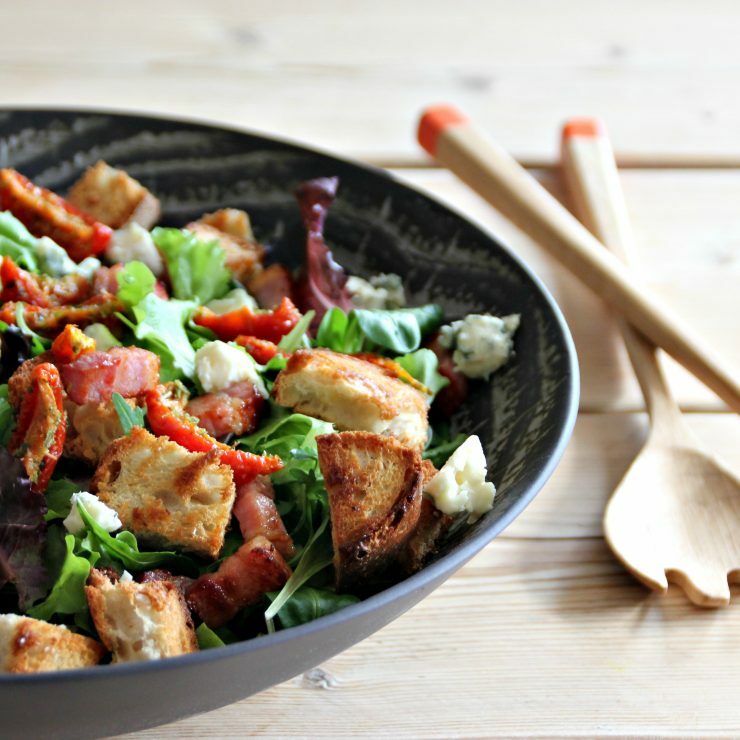 Previous PostInterview: French Style with Et Voilà!